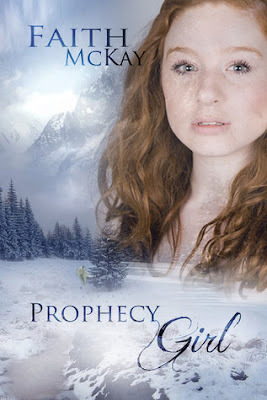 Title: Prophecy Girl Author: Fait McKayPublished: Nov. 20th, 2012Blurb: Ever since Samantha Winthrop’s mother moved them to Lacuna Valley, supposedly in search of better weather, the list of strange questions she has no answers for has been growing out of control. About the author: I write stories about characters with real world struggles in otherworldly settings. But like Walt Whitman said, I am large, I contain multitudes. Other things to know about me… I wear two different colored shoes. I am a survivor of child abuse. I have lived with chronic illness for over a decade. A lot of people don’t like me because I laugh too much. It’s also the reason a lot of other people do like me, so go figure. I listen to more music than people are probably supposed to. I’m a nomad. The word sounds really cool, so a lot of people say it, but I actually live in an RV with my husband and our pet bunny rabbit, Dorian Gray.